Jaroslav Poncar was born in 1945 in Prague and grew up in Litomerice. At the age of nine began his passion for photography. He studied Physics in Prague and Aachen and became Professor for Optics and Physics in the Photo-Engineering Department at the University of Applied Sciences, Cologne. After his studies he undertook a several months long trip through Africa and the southern Arabian Peninsula as a freelance staffer of the German Press Agency. 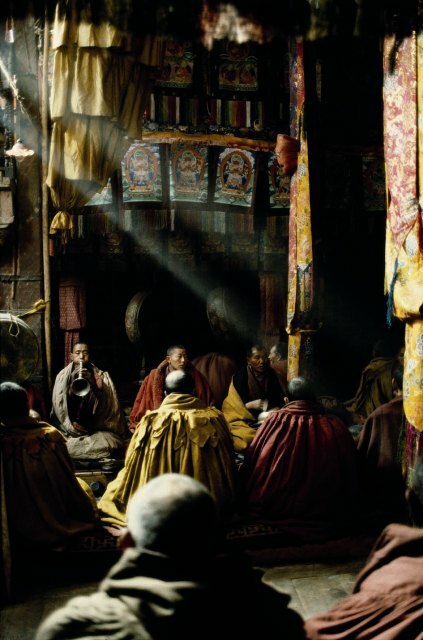 After 1974 he concentrated his photographic activities in the regions of the Himalayas, Tibet, India, and Cambodia. He worked for 20 years in collaboration with museums and universities on the photographic documentation of the early Buddhist wall painting in Ladakh, Spiti, Tibet, and Mustang (Nepal). From his photo documentation of the famous reliefs in Angkor Wat in 1995 came the “German Apsara Conservation Project,” a project of University of Applied Sciences, Cologne and a contribution of the Federal Republic of Germany for the conservation of world heritage. Within the framework of this project and with Poncar’s direction emerged the most comprehensive photo documentation of Angkor Wat, the largest temple in the world. In Europe, as far as his teaching duties allowed, he pursued panorama projects in France, which resulted in the publication of Das Tal der Loire (The Loire valley) and Paris im Panorama (Paris in panorama), both published by Emons, Köln. Other recent published works by Poncar in the Edition Panorama, Mannheim, include Tibet, Himalayas – Where Gods and Man Meet, Burma – the Land that Time Forgot, Angkor – a Photographic Portrait by Jaroslav Poncar, and Of Gods, Kings, and Men. 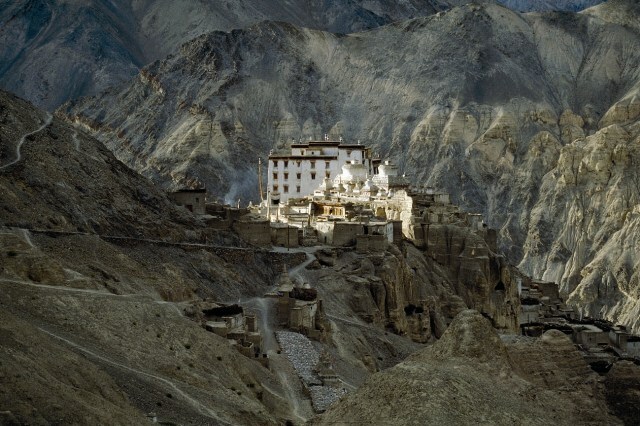 In the summer of 1974 Jaroslav Poncar traveled for the first time to India as a freelance correspondent for dpa and traveled as far as Kashmir and Ladakh in the western Himalayas; though Tibet remained unreachable. After the occupation by Communist China in 1959 and during the Cultural Revolution in the 1960s thousands of Buddhist monasteries were destroyed and thus “Little Tibet,” as Ladakh is often called, seemed the closest surrogate for his childhood dream Tibet. In order to visit Ladakh at the time it was necessary to obtain from the Interior Ministry an “inner line permit”—a permit that was almost never issued. For India, Ladakh lay in the sensitive border region with Pakistan and China. In New Delhi Poncar was due for a big surprise: two weeks before his arrival the Indian government had, completely unexpectedly, opened a large part of Ladakh for visitors—no “inner line permit” was needed! The streets were open—the first to be built from Srinagar to Leh, the capital of Ladakh, after their defeat in the border war with China. 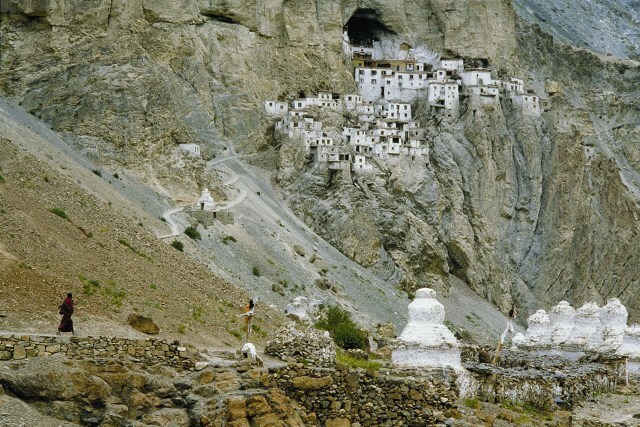 Poncar was one of the first 50 visitors to Ladakh from the West after the Second World War. 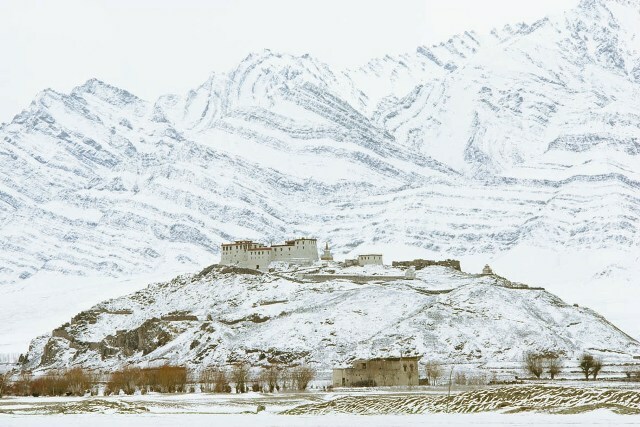 He didn’t realize at the time, that he would often travel to Ladakh in the next 30 years. He traveled across the country many times and visited the most remote settlements. Since the beginning of the ’80s he worked with Professor Roger Goepper on the documentation of the wall paintings in the temples of Alchi (in 1996 this work was published by Serindia Publications in London under the title Alchi – Ladakh’s Hidden Buddhist Sanctuary), from which the later restoration project “Save Alchi” with Professor Karl Ludwig Dasser developed. 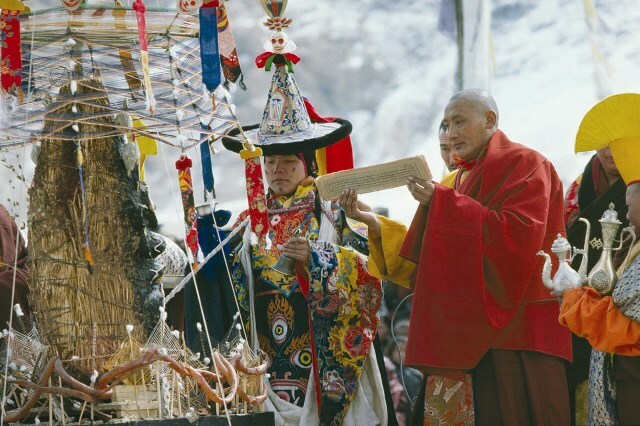 Four times he visited Ladakh during the harsh winters in order to experience the monastery festivals, which at the time took place every winter except one. He was there, when in September 1976 the Dalai Lama came to Leh to hold the weeklong sermon Kalachakra. With the cameraman and film producer Wolfgang Kohl, Poncar filmed the documentary film Der unbekannte Indus (The unknown Indus) for the WDR in Ladakh in 1980 and two years later Ladakh – ein Wintermärchen (Ladakh – a winter wonderland) for the ZDF. Inspired by Josef Sudek, he brought on his third trip in the summer of 1976 an old Russian panorama camera (FT-2) in order to do justice to the immense landscape of the western Himalayas. Since that time, panorama photography is his specialty and his great passion. In recent years Edition Panorama in Mannheim published a series of photo books; Himalayan Kingdoms, Tibet, and Burma – the Land that Time Forgot are titles from the series. Poncar’s photographs are presented in numerous exhibitions internationally.